So I thought I would create my own theme for the event. Ultimately I am stealing from the presentation on day three given by the legend that is Paul Dunn. This was a very emotional farewell for Brad Smith who is transitioning to the role of Intuit Chair (rather than CEO and Chair). Brad appears destined for politics. He is a much loved leader, inspirational orator, family values loving demigod with a NASDAQ track record few could compare themselves with. He has been at the helm of Intuit during a massive period of change over his 11 year tenure. One in which equivalent incumbents like MYOB and Sage have fallen from grace, Intuit have stared down the potential disruption from Xero, Wave, Freshbooks et al and come out the back end stronger than ever, with a better worldwide position than ever before. Brad will be succeeded by Sasan Goodarzi. Sasan was the obvious winner of the divisional swap, winner succeeds Brad competition, with Dan Wernikoff, dating back to May 2016. One could argue Goodarzi was handed the proverbial “goose that laid the golden egg” when given the upswinging small business division whilst Wernikoff landed the mature, consumer tax division. Nonetheless Goodarzi was the obvious choice and now sets about building his own legacy. I have been fortune enough to spend time with Sasan over the past few years. I sense a man who understands the cards he’s been dealt. A certain, earned arrogance that comes with being the biggest fish in the sea (with respect to being CEO and Intuit the company vs the rest). A battle hardened competitor, with the mix of street and book smarts that whilst showing utter respect for he predecessor, isn’t trying to be his clone. He’s not a product of humble, small town West Virginian upbringing. He’s not the man of a thousand quotes. He is his own man and will live his own legacy over the years to come. Alex succeeds Sasan as GM of Small Business division. I LOVE Alex’s path to this senior executive role. Alex is a product guy at his core. In fact he is a Platform guy. Check out his LinkedIn role history. Yes he’s spent time in Sales, and “partner management” (perhaps the traditional paths to exec), but more recently he was Chief Product Officer. The legacy we can expect Alex to live? An absolute focus on delivering a genuine platform. Not a new mission for Alex, but one in which his power to deliver has been growing, since a decade ago taking on the Partner Platform role. He has already taken a cloud 1.0 product in QBo, which Intuit launched in 2001, and worked on re-engineering it into a genuine, open, modern platform (no doubt in part in reaction to the Xero threat). He has a ways to go (see below on technical legacy) and he appears up to the challenge. Ariege has stepped up to replace Rich Preece as the head of Accountants Division, and practically the new face of QBConnect! The legacy I expect Ariege to live? More gender diversity in senior exec roles at Intuit? Perhaps a deeper, global, cultural awareness? A focus on product for Accountants? Who knows, but based on her confident owning of the QBConnect stage I look forward to seeing her influence and legacy grow. Not necessarily an announcement of QBConnect, but one which was obvious whilst there. International operations at Intuit were recently restructured with the various heads of country reduced to 3 senior roles and the rest restructured to report via a new “Rest of World” division. For the first time ever the US gets a head in Rich Preece. Canada, obviously the next battleground in the international SME Cloud Accounting battleground retains Geoff Cates and its standing as a core market. All other countries now report into a new Rest of World structure under Dominic Allon in the UK. Country managers like Nicolette in Australia, no longer report directly into HQ in Mountain View, but into Dom in the UK. When I quizzed Goodarzi on the restructure, he spoke in terms of McKinsey’s Three Horizons of Growth framework. The US is obvious the world’s biggest Cloud Accounting technology marketplace, with significant runway and Intuit hold a massive market leadership position. Of course this remains a key focus…more important to Intuit than Australia – not to say Australia doesn’t remain strategically important. To be brutal, the key items presented at QBConnect 2018 (main day) were identical to QBConnect 2017. There was little to no new feature announcements for QuickBooks. Faster Payments – Accounts Receivable and Payroll (neither available in Australia) and really what can only be a “wow factor” in the US, a country with perhaps the most archaic banking system in the western world… FYI existing banking systems in Australia and around the world already offer same day, even real-time clearance on payments. Sure big news and a significant moat in the US. Meh… for the rest of us. 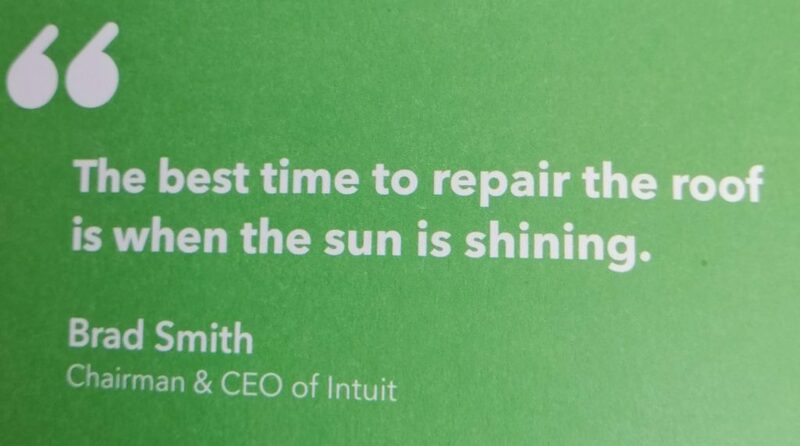 Intuit are at their peak. Now is the time to fix the underlying foibles of the platform. My one-on-one chat with Alex Chriss gave me the insights that reaffirmed my thinking on this. This has been a year to get the underlying house in order, so Intuit can accelerate in 2019. A bit like Xero slowed to transition to AWS, Intuit have slowed to do likewise (I’m telling you, Amazon is taking over the world, seriously). Re-engineering the underlying architecture of the platform that is now 17 years old to a micro-services architecture, leveraging all that AWS and other services have to offer, one which allows internationalisation through configuration, more than raw-coding. A year in which to refine their AI and ML. A year to build out, and “eat their own dog food” with the new GraphQL API. From an innovation/new feature announcement perspective, there were only a few minor updates to QuickBooks Online Accountant. This was disappointing as I was hoping/nigh on expecting some big announcements around API and in-platform development vis-a-vis Salesforce Force.com or NetSuite SuiteApp. But as someone who fully appreciates the challenges of legacy code, I get the need for a gap year such as this. I will just be expecting big things in 2019 – I’m watching Alex! A clear sign Cloud /Online is now a given – dare I say, we have officially entered Cloud Accounting 2.0 phase [quoting Mr David Leary]. Cloud is so much a given in 2018, its no longer needs reference. I have been talking up business banking and the convergence with accounting technology for some time. This is no longer a Utopian future state, its here and now. In the UK we’ve seen the rise of CountingUp – a business bank account that is accounting software… And in the US we have seen the rise of the bank of Intuit. QB Capital has a massive unfair advantage over all legacy lenders. It has the data and the situational relevance to promote loans to SMEs at a relatively low risk and high margin. The stats are amazing, have a read of this. From the research I’ve done, business lending to SMEs in the US is something like a $300b industry. 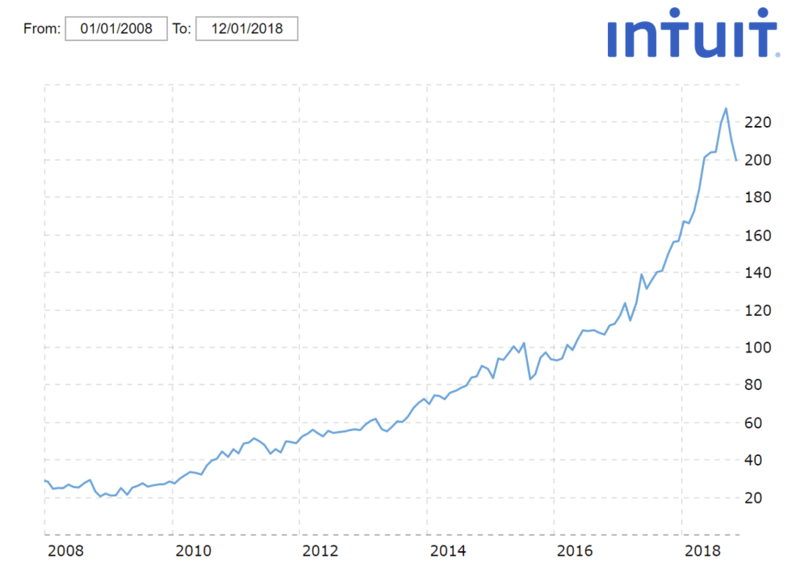 Intuit are growing the industry 2.5X overnight (given 60% would not otherwise have got a loan). The numbers are eye watering. I can’t see how the legacy lenders compete long term..? I will now rest my case on criticising Intuit for using a low subscription price to grow market share. Just think of the revenue banking will generate – who cares about subs…??? In the sphere of SME Cloud Accounting, Intuit are building an event with QBConnect that at this stage is unrivaled and for that fact is building a legacy for connecting the worldwide industry. It genuinely seems like THE world-event. With leaders, speakers and influencers from far and wide brought together (at Intuit’s expense) to socialise, philosphise and debate the industry trends. I genuinely think as an industry, regardless of which team you support (if any), QBConnect offers the opportunity to connect off the social channels, in real life, like no other. Here we can present, discuss, argue and grow our individual and collective knowledge and opinions. I think all in attendance are grateful to Intuit for such an opportunity! Intuit are big on the celebrity speaker. From Oprah to Shaq, Tyra Banks to Michael Phelps and A ROD, QBConnect has for 5 years been consistently led with the keynotes from BIG personal brands sharing their stories of failures on the path to (or after) success. 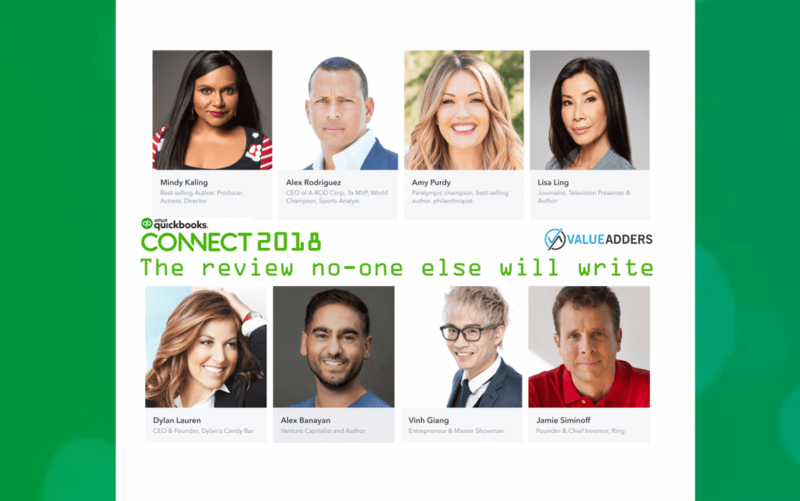 2018 was true to form, with the common theme among the truly awe inspiring speakers with BIG legacies (such as Amy Purdy, A ROD, Mindy Kaling and Alex Banayan), a life journey that describes a seemingly real, attainable path to the seemingly unattainable heights of success. Its surely not a coincidence that HubDoc received possibly the worst stand in the exhibition hall. As a product now owned by Intuit’s major competitor, I suspect this might be HubDocs last QBConnect. The announcement of HubDoc like Bank Statement fetch felt a direct reaction to Xero’s acquisition. I suspect the latter will eventually apply to HubDoc (and TSheets in reverse). As a person fascinated by the intersection of SME Cloud Accounting and ERP, I await genuine development in this space with great anticipation! I can’t comment on legacy with regards to QBConnect 2018, without mentioning the source and the legend that is Paul Dunn. Paul along with Ron Baker published “The Firm of The Future” book 15 years ago. The industry has been catching up ever since. Intuit have even built a brand and a contest out of Firm of the Future over the last 5 years – a decade after Paul and Ron! 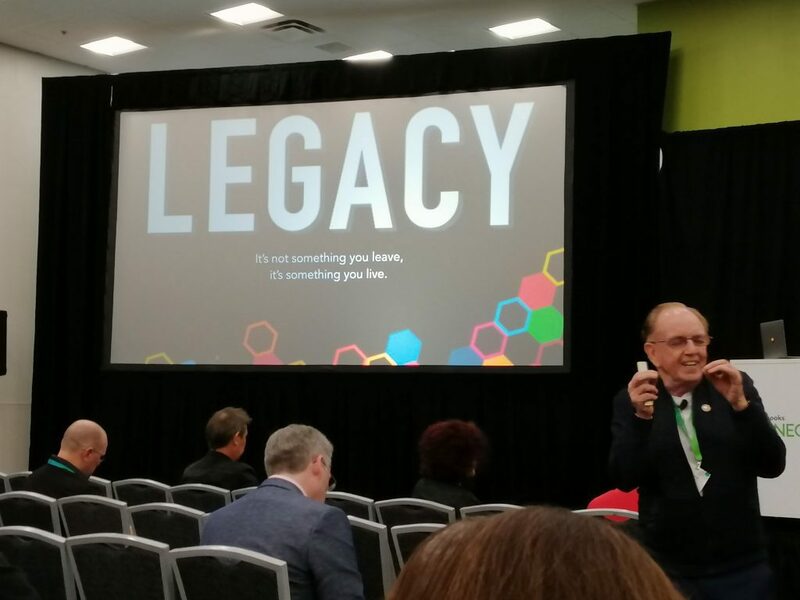 Paul’s mission and presentation at QBCOnnect, is now living his legacy, using his tremendous influence and role as Chair, to grow B1G1 – Business for good founded by Masami Sato. Their mission is BIG, tackling the 17 Global Goals for a better world, one impact at a time! It’s hard not to see this as a movement, far bigger than Firm of The Future. Paul is again at the forefront, living an indelible legacy, one which WILL have long-term positive impact on the world. 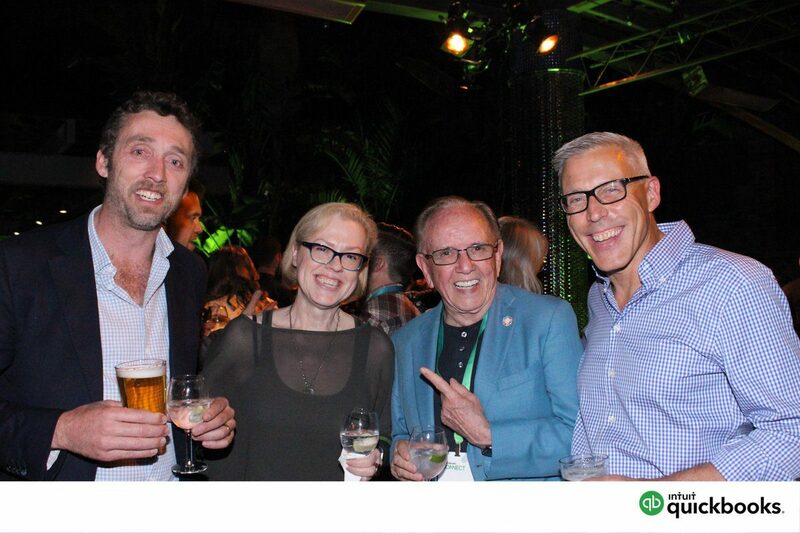 Matt attended QBConnect 2018 as a guest of Intuit.